Meet Green Tree's new deluxe aroma burners. They are made of stylish light-colored wood and are finished with a modern touch. This eye catcher is a classy accessory for those who like a simplistic design. It’s a classic diffuser that works through a tea light. She is easy to clean and fulfills the role of a mood setter. 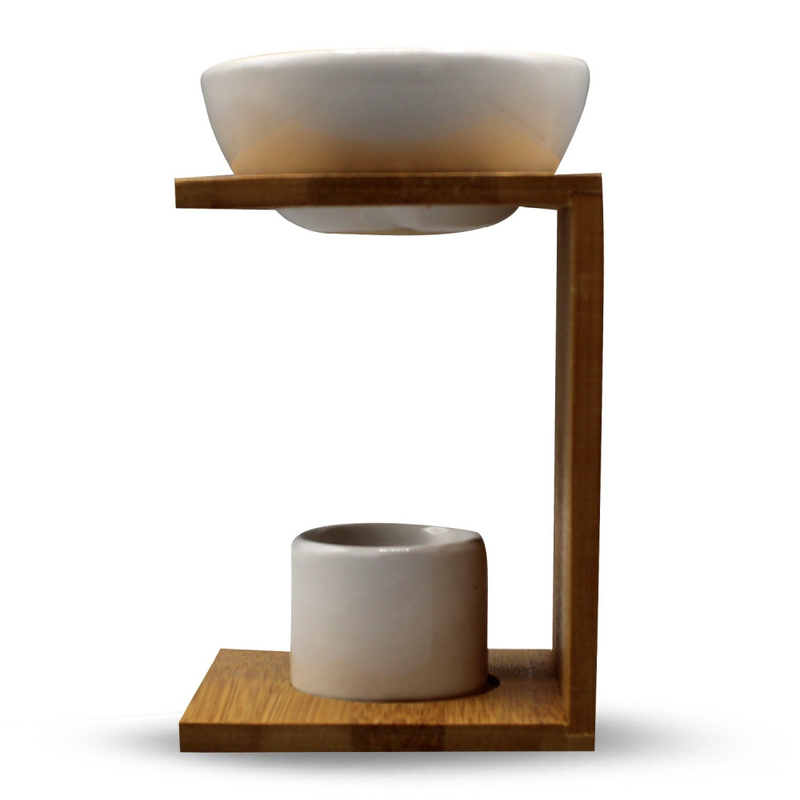 The waxine holder and the aroma bowl are made of white ceramic.